Business and leisure travellers to Sydney will enjoy the quality hotel accommodation on offer at the 4 star Rydges Sydney Central. From this luxury, contemporary Sydney hotel, you will be able to explore all of the sights and attractions that the harbour city is famous for, including the Sydney Opera House, Darling Harbour and world famous Sydney Harbour Bridge. The Rydges Sydney Central also provides easy access from Central Station to Olympic Park Station and Telstra Stadium. The affordable but stylish hotel accommodation at the Rydges Sydney Central comprises deluxe and executive hotel rooms that are comfortable and centrally located. 4.5 star newly refurbished luxury hotel accommodation in the heart of Potts Point & Kings Cross, close to the Sydney CBD. This newly refurbished four and a half star hotel features 227 stylishly appointed and ultra modern guest rooms with funky new decor to complement the lively surrounds, 26 inch LCD flat screen colour televisions with satellite stations and uninterrupted magnificent Sydney Harbour, city or eastern suburbs views. Accommodation amenities include airconditioning and climate control, non smoking rooms, high-speed wired and wireless Internet access (surcharge), flat-panel LCD colour TVs with cable/satellite channels and pay per view movies, telephones, desks, backout drapes/curtains, complimentary toiletries and in room safes. Rooms also include minibars, refrigerators, and coffee/tea makers. For guest convenience, in room massage is also available. Chifley Potts Point is ideal for corporate or leisure travellers. Take some time off and explore Sydney's top tourist attractions such as the Sydney Opera House and Royal Botanic Gardens. Discover all the hidden treasures of neighboring suburbs such as Darlinghurst, Paddington and Woollahra. There are also myriad dining and entertainment choices right on your doorstep. Chifley Potts Point offers guests the newly refurbished Body Inc Bathhouse and Spa (offering Asian theme and treatments and providing experts in massage, health and beauty therapy). Further hotel facilities include 24 hour reception, restaurant, cocktail bar and lounge, concierge and room service, airport shuttle, business centre, arrival/departure lounge, games room, a steam room, massage rooms, sauna, high-speed wired and wireless internet access, dry cleaning and laundry services, newly refurbished conference facilities, banquet room, boardrooms, private dining rooms, event catering, television in lobby, onsite secure undercover parking (fee applies), tours/ticket assistance, luggage storage, porter/bell service, currency exchange and lift/elevator. Guests have access to a fitness centre/gymnasium across the street. Whether you are staying for business or leisure, for a night or a week, the Chifley Hotel Potts Point aims to exceed your expectations and delight you at every turn. Parkview Hotel Sydney (formerly Victoria Park Inn) provides fantastic budget accommodation close to Sydney CBD and with easy access to public transport. In fact, a bus stop is located outside the property! Located on Broadway in Sydney, this Sydney hotel is opposite Victoria Park and Sydney University and backs onto Broadway Shopping Centre. Darling Harbour, Sydney Fish Markets, Chinatown and Glebe restaurants are located nearby. Double hotel rooms and twin hotel rooms available for affordable Sydney accommodation. Stay in a tranquil setting yet close to the action at the Aspen Hotel, Sydney. This well serviced 3.5 star mid sized hotel offers standard and deluxe boutique hotel accomodation, located in the Sydney CBD only a few minutes walking distance to Darling Harbour, Chinatown and the Entertainment Centre. Offering everything you have come to expect from an international hotel, the location of the Aspen Hotel, Sydney is ideal. Offering a huge selection of budget Sydney accommodation, Y Hotel Hyde Park is centrally located in the heart of Sydney. Choose from single, double and twin rooms that are fantastic value for money with easy access to all Sydney attractions and public transport. Darling Harbour, Chinatown and Oxford Street are all within easy walking distance. Conveniently located on Sydney's lower north shore, the Royal Pacific Hotel offers you the ideal base from which to explore Sydney's many attractions. This affordable and comfortable 3 star hotel accommodation is within a short stroll to the Royal Pacific Hotel train station and only 1.5 kms from Chatswood. It is within easy reach of Sydney's city centre and Sydney Harbour. Free on site car parking is available at the Royal Pacific Hotel Sydney. The affordable budget hotel accommodation at the Pensione Hotel Sydney is ideally located in the heart of Sydney's entertainment and theatre district, only a short walk to Darling Harbour and the Sydney Harbour Bridge and Opera House. With flexible accommodation options and well equipped hotel rooms set inside a historic exterior the Pensione Hotel caters to the discerning budget conscious traveller or corporate business person. Aarons Hotel Sydney - 3 star hotel accomodation in the heart of the Sydney City. Fantastic location, fantastic service, fantastic rates!! Situated in the beating heart of Sydney city, Aarons Hotel's unique 19th century building has been completely renovated and offers modern facilities, service and comfort. And best of all - the unbeatable location and terrific service also comes with extraordinary value, with incredibly competitive rates. Hotel accommodation in central Sydney has never been so affordable!! Aarons has a range of rooms ensuring everyone is looked after, from the solo traveller needing a bed for a night or two, to large 6-bed rooms for the family on the go. All rooms are spotlessly clean, wonderfully comfortable, and have the convenience of a private ensuite bathroom with shower, colour TV, small bar fridge, ISD phone, tea & coffee making facilities and hair dryer. Guests can also take advantage of the extensive hotel facilities, from the 24 hour reception and tour desk, to the on-site laundry when you're down to your last clean t-shirt. If you need a helping hand deciding what to see, or how to do it, our Tour Desk can give you the low down on the highlights not to be missed. There's also our purpose-built conference facility if you need to get down to business. From the second you step out of the Hotel, the very best Sydney has to offer is laid out at your feet. From the busy bustle of Chinatown and Paddy's Markets, to the sophistication and excitement of Darling Harbour and the Star City Casino, The Entertainment Centre and shops in the Queen Victoria Building, there is simply no better base to explore all the attractions in Sydney. The Y Hotel CIty South offers great value for money accommodation in a range of rooms at budget prices. Situated just a 10 minute walk from Sydney Central Station, this affordable accommodation in Sydney is also close to the shopping at Broadway and Glebe and the nightlife at Darling Harbour and Chinatown. Discount rates for longer stays! The Park Regis Hotel surrounded by Sydney's best shopping, entertainment and sightseeing cannot be beaten for service and affordability. Designed to cater for the corporate and tourism markets, Park Regis Hotel Sydney is a newly refurbished Hotel located in the heart of Sydney CBD. 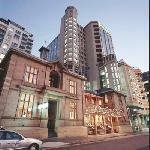 Hyde Park, Darling Harbour, Pitt Street, QVB and Town Hall are all very close to the Park Regis Hotel Sydney. The Park Regis Hotel boasts a large variety of beautifully appointed hotel rooms specifically designed to suit every travellers needs. Macquarie Boutique Hotel offers a unique experience whilst visiting Sydney. Stay in comfortable accommodation in this boutique hotel which has its own gaming room, cafe, TAB facilities, saloon bar, bottle shop, internet cafe and bistro. Enjoy the sights of Sydney, many of which are within walking distance, although public transport is close to hand. The longer you stay, the cheaper the rate! Enjoy cosmopolitan Glebe which is 1km from the CBD & stay in quality hotel accommodation at The Haven Inn Sydney. Choose from various Glebe hotel accommodation available at this Sydney property that is located an easy distance from Darling Harbour, Chinatown and the many Sydney city attractions that all tourists want to visit! Stroll along Sydney's Glebe Point Road to Broadway shopping centre which contains a huge variety of shops, restaurants and cafes. Public transport is close to hand making access to all of Sydney's hotspots easily accessible! The Vulcan Hotel provides great value for money discount accommodation in Sydney and is where contemporary style meets heritage architecture. This boutique Sydney accommodation hotel consists of 46 brand new ensuite rooms with all the services you would expect from a quality city hotel. All of the rooms at the Vulcan Hotel Sydney have double glazed sound rated windows and is located 10 - 12 minutes walk from the heart of Darling Harbour, Sydney Convention Centre, Cockle Bay restaurants and a quick trip on the monorail to the Sydney City Centre. Rydges World Square Sydney, formerly known as the Avillion, is centrally located within the World Square shopping and business precinct in Sydney CBD. This 5 star deluxe international hotel provides guests with easy access to Sydney's major tourist attractions, either by monorail, walking or taxi. With the World Square Monorail located on the hotel's doorstep, you will have easy access to the Sydney Convention & Exhibition Centre, Darling Harbour, Cockle Bay, Sydney Entertainment Centre and Sydney's financial and shopping precincts. Rydges World Square Sydney is Sydney's deluxe international hotel. This award-winning hotel is contemporary in design, comprising 445 spacious and luxuriously appointed rooms and suites. All accomodation includes individually controlled air conditioning, internet access, separate bath and shower, minibar, Vingcard guest room and lift security access, electronic safe, in-house movies and free cable channels, tea & coffee making facilities, IDD lines, voice mail and dataport connection. Facilities of the Rydges World Square Sydney include a recently refurbished restaurant, two bars, complimentary gymnasium offering the latest equipment, Executive Club Lounge, 24-hr reception and concierge, 24 hour room service, valet parking, guest laundry, valet service, business centre, foreign currency, retail plaza adjacent featuring in excess of 90 speciality stores - open every day. As a guest of the Rydges World Square Sydney, you will be made to feel at home with our warm and friendly staff, and our elegantly appointed guest rooms, featuring every convenience for today's traveller. The Rydges World Square Sydney, a great choice to stay when travelling to Sydney whether your visit is for business or leisure purposes. The Russell Hotel - a boutique 3 star hotel in Sydney's Historic Rocks. The perfect location from which to explore Sydney. Warmth of character and olde world hospitality characterises this delightful small historic hotel in the heart of Sydney's Rocks area. The Russell retains the charm of its 1887 origins whilst offering elegant and comfortable The Rocks bed and breakfast accommodation, an easy walk from Sydney Harbour, The Opera House, the Sydney Harbour Bridge, Museum of Contemporary Art, the CBD, great shopping and restaurants in the Rocks area. The atmosphere at the Russell Hotel is welcoming and rich with Sydney history. Every room at the Russell has a style of its own. Furnishings are a blend of antique bedheads matched with the charm of pine dressers and marble washstands. The largest rooms overlook bustling George Street, whilst guests in search of tranquillity might prefer one of the courtyard rooms, or above the cobbled lane known as Nurses walk. At the Russell, guests become friends and staff take pride in offering genuine hospitality. The Russell Hotel is a hotel full of delightful surprises. There's a rooftop garden that's the perfect vantage point to look out over Circular Quay, The Rocks, George Street and the Sydney skyline by night... you will even see glimpses of the Sydney Harbour Bridge. Settle in the hotel's sitting room with its balcony overlooking bustling George Street and browse the library of books and magazines. The sitting room is located on the first floor and has a balcony opening onto George Street and overlooking Circular Quay. It is an ideal place to relax and plan your day and has a library, which includes many tourist guides with information on Sydney. Enjoy our delicious breakfast in Acacia Restaurant. Breakfast is FREE OF CHARGE to all guests!!! Part of Sydney's heritage, The Russell is located in the city's historic heart, the Rocks, just walking distance from popular attractions and main shopping areas. Across the road is Circular Quay, with its waterside cafes and shops, and bus, train and ferry connections. Budget accommodation located right in the heart of Sydney. Perfectly located to explore the sights and attractions that Sydney CBD has to offer. 2 minute walk to Central Railway Station, 10 minute walk to Chinatown, Darling Harbour, Paddington Market, Sydney Town Hall, Hyde Park, the Queen Victoria Building. 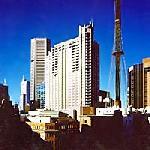 Inexpensive accommodation in Sydney CBD - who expects it? Stay longer and pay less! Novotel Sydney Central is centrally located in Sydney's bustling theatre and entertainment districts. All rooms are bathed in natural light and offer everything to make your stay in the Sydney CBD a comfortable one. The city centre, major shopping precincts and tourist attractions, including Darling Harbour, Cockle Bay and the Entertainment Centre, are all within easy walking distance of the Novotel Sydney Central Hotel. Corporate clients, business travellers and tourists alike will enjoy the convenient Sydney location of the Novotel Sydney Central. Offering magnificent views over Sydney Harbour, why not try this fantastic 3.5 star apartment accommodation during your next stay in Sydney? Offering a range of hotel accommodation in Potts Point, Macleay Serviced Apartments/Hotel provides friendly and attentive service, and can assist in planning your sightseeing to Sydney Opera House, Darling Harbour, Bondi Beach, the Blue Mountains, the list is endless in Sydney. The longer you stay, the cheaper the rate! Located directly opposite Central Railway Station, and minutes walk to Darling Harbour, the Sydney Convention and Exhibition Centre and Chinatown, The Rendezvous Studio Hotel Sydney Central offers easy access to all that the city of Sydney has to offer. The hotel is also a perfect base to explore some of Sydneys biggest attractions including the Sydney Opera House, the Sydney Harbour Bridge, the Entertainment Centre and the Powerhouse museum, Casino and Darling Harbour. Superb location!! The Mariners Court Hotel, Woolloomooloo offers 3 and half star (AAA) plus boutique B&B hotel accommodation located 200 meters from the fabulous foreshore of the Woolloomooloo Wharf complex. Within walking distance of the NSW Art Gallery, the Royal Botanical Gardens, Circular Quay and the Opera House. The city centre is approximately 1 km away. Conveniently tucked away in a quiet street is Mariners Court - Bed & Breakfast style hotel accommodation boasting a delightful internal landscaped courtyard. All guest accommodation rooms offer private en-suite bathrooms and private balconies/courtyards. The rooms are also equipped with TV, reverse cycle airconditioning, broadband internet, telephone, ADSL internet connection, fan, fridge, tea and coffee making facilities. The rate includes a light breakfast and FREE in-house movies. For guest comfort and convenience, the Mariners Court Hotel offers a Lounge, Dining Room and Snooker Table / Recreation Room, all appropriately equipped. A delightful Garden deck is located outside the Dining Room and a sunny roof deck is located on the 3rd floor. Guest laundries are located on the 1st and second floors. Lift access is availbale to all floors. There is disabled/wheelchair access & bathroom facilties on each floor. Please note that all rooms and areas in the hotel are non-smoking. Smokers must smoke outside the hotel. Corporate and business clients are well catered for with a conference center, Email / Internet center, direct internet access, faxing and computer facilities (available during office hours). Broadband internet access is also available in all rooms (fee applies). Undercover carparking is available, subject to availbility at an extra fee. Mariners Court Hotel is great value for money - one of Sydney's best-kept secrets. The hotel provides the corporate and leisure guest alike with modern services, comfort and a warm friendly atmosphere. The Metro Hotel Sydney Central is conveniently located in Sydney's southern CBD at the corner of Pitt and Campbell Streets, opposite the Capitol Theatre. The Metro Hotel Sydney Central is ideally located for both the corporate and leisure guest and within close proximity to the city centre, all major corporate and government offices and conferences & trade shows at the Sydney Convention and Exhibition Centre. Guests staying at Metro Hotel Sydney Central also have all the wonders that Sydney has to offer at their doorstep including the excitement and hustle and bustle of Darling Harbour, Cockle Bay Wharf, Star City Casino, Sydney Entertainment Centre, Chinatown, Paddy's Markets and the city's dining and cinema districts. Situated in the inner city, bayside suburb of Potts Point, the De Vere Hotel offers affordable accommodation ideal for both business and leisure travellers visiting Sydney. This boutique style accommodation in Sydney has close proximity to Sydney CBD and is only metres from Rushcutters Bay. Enjoy the Sydney sights and attractions and then relax in this Sydney hotel accommodation. Albert and Victoria Court, Sydney provides historic Sydney hotel accommodation centrally located in the quiet and leafy Victoria Street in elegant Potts Point - the heart of Sydney's gastronomic precinct. This delightfully charming 4 star bed and breakfast hotel is an ideal base from which to explore and do business in central Sydney. It is within minutes of the Opera House, the Central Business District, the Harbour, Chinatown and the famous Sydney beaches. Guests are offered friendly and personalised service in an informal atmosphere and amidst Victorian charm. Not unexpectedly, no two rooms are alike, and cater to various budgets. Most rooms have marble fireplaces, some have four poster beds and others feature balconies which offer views over Victoria Street, which is classified by the National Trust as a street of historical significance. All rooms are non smoking and feature private en-suite bathrooms, hairdryers, air-conditioning, colour television, radio-clock, safe, coffee/tea making facilities and direct dial telephone for both local and international calls. Wireless internet connections are also available. The focal point of the Victoria Court is the verdant courtyard conservatory, where, to the melodious accompaniment of a bubbling fountain, breakfast is served. Guests can relax and read the daily papers or browse through books in the lounge, complete with open fire place and library. In the immediate vicinity of the Victoria Court are some of Sydney's most renowned restaurants as well as countless cafes. Public Transport, car rental offices, travel agencies and major banks are within a close range. An airport bus service operates to and from the hotel, while for those with their own transport, security parking is available. Victoria Court's central location puts all of Sydney's major attractions - including its most famous icons - the Opera House and the Harbour Bridge - within easy reach. From close to the Opera House, Ferry Services provide effortless access to the world's most beautiful harbour, with frequent services to a wide variety of magical spots, many with their own golden beaches. The world renowned Royal Botanic Gardens lie between the harbour and the hotel. Other major attractions close by are The Rocks, The Art Gallery, The Australian Museum, Hyde Park and Darling Harbour. The Leisure Inn Suites Sydney blends contemporary design with the hip ambiance of Kings Cross. This affordable Sydney accommodation in the heart of Kings Cross is set amongst the areas famous nightspots, clubs, restaurants and cafes. The Leisure Inn Suites welcomes both business and leisure guests to enjoy this fabulous location right near the excitement of Kings Cross, a stone's throw to the centre of Sydney and a stroll to Woolloomooloo and Paddington. Great value accommodation for the budget conscious traveller. Located near the heart of Sydney's transport system, Central Railway Motel is a great base from which to explore and Apartments is conveniently positioned close to all that Sydney has to offer. Only minutes from Sydney CBD, Circular Quay and Chinatown, this motel accommodation is only a 30 minute drive from Sydney's famous beaches. Accommodation at a great price. Book ahead and get the discounts! Stay longer and pay less!! Location, location, location!!!! The Metro Hotel on Pitt, Sydney is conveniently located in the centre of the exciting business, tourism and leisure heart of Sydney making it the ideal location for both corporate and leisure guests.Offering 115 well appointed rooms, each with a spacious bathroom including roomy walk-in showers, the Metro Hotel on Pitt is your home in the city. This boutique-style 4 star luxury hotel offers a warm, personal welcome and attention to detail that keeps guests coming back time after time. Built in the 1930s, the original building was completely renovated and reopened as the Metro Hotel on Pitt, combining the classic art deco facade with a modern, state-of-the-art interior. The hotel's proximity to the city centre means it is only a short walk to all major corporate and government offices. For those attending one of the many national or international conferences and trade shows at Sydney Convention and Exhibition Centre, the hotel is just a pleasant 10 minute stroll from this venue. Guests staying at Metro Hotel on Pitt, Sydney have all the wonders that Sydney has to offer at their doorstep. Only minutes away from the excitement and hustle and bustle of the Pitt Street Mall, Queen Victoria Building, Centrepoint Tower, Oxford Street, Chinatown, Darling Harbour and Cockle Bay Wharf. The wonders of the Sydney Harbour Bridge and the Sydney Opera House are also just minutes away. All rooms at the Metro Hotel on Pitt have high speed Internet connection for guests as well as dial-up internet if you just need to check a few emails whilst you're away from home. Furthermore, all rooms have the latest in-house pay per view movie system installed with 32 movies to choose from, plus FM radio music stations. With easy access to the Capitol Theatre, Chinatown, the exciting restaurants and the shopping precincts of Pitt Street, Queen Victoria Building, Oxford Street and Darling Harbour ? The Metro Hotel on Pitt is the ideal base for all travellers. The Sleep Express Motel Sydney aims to provide comfortable accommodation at budget prices. The Sleep Express Motel offers budget accommodation in Homebush Bay, which is only 10 minutes from Acer arena, Telstra / ANZ Stadium, the Sydney Show Grounds and Homebush bay. This makes the Sleep Express Hotel Sydney the ideal accommodation for travelers to events in Sydney or at Acer arena, Telstra Stadium or Sydney Show Grounds Homebush Bay. The Kirketon Boutique Hotel ioffers 5 star, newly transformed hotel accommodation, now managed by Eight Hotels Australia. This award-winning intimate 40 room iconic boutique hotel showcases a stunning, sensuous new design with contemporary elegance reminiscent of the great Parisian boutique hotels, the new wave of New York properties and Sydney cool to reclaim the mantle of Australia's best boutique hotel. Renowned for discreet and personal service, experience the genuine warmth and charm of the professional team whose prime objective is to satisfy your every desire. For guest convenience, The Kirketon Boutique Hotel features complimentary Fitness First gym passes and a concierge desk. Further facilities include complimentary newspapers in the lobby, a 24-hour front desk, laundry service, babysitting or child care service, concierge desk, secure car parking and security guard. Services include housekeeping and in-room massage. All guest accommodation rooms at The Kirketon Boutique Hotel are non-smoking, featuring 32" plasma TVs, FREE cable/satellite TV and, for the business client, wireless internet access, desks and direct-dial phones with voicemail. Guest rooms further offer beautifully appointed private en-suite bathrooms woth complimentary Kevin Murphy toiletries, DVD players, CD players, fully stocked minibars, coffee/tea makers, climate control air-conditioning & heating, superior linen & down pillows, alarm clocks, state of the art security and in-room safes (accommodates laptop). Kirketon Boutique Hotel is located in the heart of Sydney's restaurant, bar and nightclub district, moments from Oxford Street and Kings Cross Station and nestled in a quiet corner of the Darlinghurst, Potts Point and Kings Cross Triangle. Moments walk to Woolloomooloo, the Sydney Financial District, the Botanic Gardens and the airport expressway, the KIRKETON is ideal for the discerning leisure or corporate guest alike. With so many highlights of Sydney at the door step, The Kirketon Boutique Hotel looks forward to welcoming you. Metro Inn Ryde provides comfortable accommodation in Sydney's west, with easy access to public transport to visit all of Sydney CBD's attractions. Located conveniently to Homebush Bay and Olympic Park this hotel is a perfect spot to stay in when visiting Sydney to see your team win and then check out all the sights Sydney has to offer. The longer your stay in this North Ryde hotel accommodation the cheaper the rate that you have to pay. Excellently positioned in Kirribilli on Sydney's north shore, Glenferrie Lodge provides a range of guest accommodation at affordable prices. Choose from a selection of single, double and family rooms at this Sydney accommodation. There is easy access to public transport and many of Sydney's main tourist attractions including Luna Park, Taronga Zoo, Sydney Harbour Bridge, Sydney Opera House and more. The Great Southern Hotel, Sydney offers 4 star affordable, heritage-listed hotel motel accommodation located in the heart of Sydney's vibrant theatre and entertainment precinct, only minutes from Central Station. The Great Southern Hotel is ideal for both business and holiday travellers with its convenient location, comfortable accommodation rooms and easy accessibility to the Sydney CBD shopping, fantastic dining and all major city tourist attractions. Offering 165 hotel accommodation guest rooms equipped with modern amenities, a restaurant, public bar, gym and meeting facilities for up to 110 delegates, the hotel is within walking distance of the CBD, Central Station, the CBD, Chinatown, Darling Harbour and Sydney Convention & Exhibition Centres. Choose from the extensive range of quality hotel rooms. All guest accommodation features private ensuite bathroom with shower, individually controlled air conditioning and heating, FREE in house video, FREE cable TV, direct dial ISD/STD telephones, television, voice mail, in-room safe, Broadband internet access (extra fee applies), modem/data port connection, electronic security keycard entrance, international power outlets, pay-per-view movies, refrigerator, tea & coffee making facilities, complimentary toiletries, hairdryer, alarm clock, iron & ironing board. Enjoy the hotel facilities which include a gymnasium, 24 hour reception, internet kiosk, room service (limited hours), same day laundry/dry cleaning service, guest laundry, cocktail bar, lounge, conference facilities disabled facilitie, internet access, lift, lobby, car parking facilities (extra fee applies) and tour desk. Dine in the restaurant after a long day of business or sightseeing. The restaurant serves quality International and Australian cuisine. For breakfast you can choose from either a continental or full buffet style breakfast. Both lunch and dinner offers you a vast selection from the a la carte dining menu. The friendly staff are available 24 hours and are happy to assist with all your inquiries regarding this beautiful city - to ensure that your stay at The Great Southern Hotel, Sydney is a happy and memorable one. Need Sydney Airport Hotel accommodation - why restrict yourself to just the Airport precinct? The 3.5 star Gemini Hotel is the perfect alternative airport hotel accoimmodation - located less than 15 minutes from Sydney's Domestic Airport and 20 minutes from the International Airport. The Gemini Hotel offers FREE Undercover Car Parking (small fee applies after 5th day of Free Parking), FREE Airport/Central Station to Hotel Shuttle Transfers and 24 Hour reception for your convenience. Located in Randwick, the heart of Sydney's Eastern suburbs, the location of the Gemini Hotel is absolutely ideal as it is located less than 15 minutes from the Sydney CBD!! The Gemini Hotel is also located only minutes to stunning Coogee Beach, magnificent coastal walks and endless shopping. Public transport is situated right outside the Hotel and will have you in the City within 15 minutes. Coogee Beach, Randwick Racecourse, the University of NSW and the Hospitals are a short stroll away, making The Gemini Hotel is the best alternative for corporate and leisure travellers alike. Randwick is an exciting eastern suburb of Sydney - the perfect base for your Sydney stay. The Gemini Hotel is perfectly located in a vibrant hub, surrounded by caf? ?s, restaurants, pubs, shops and entertainment. Stroll down to Randwick's famous "The Spot" and enjoy dining in surrounding cafes and restaurants. The 3? star Gemini Hotel features 97 rooms, including single, double and triple rooms. All guest rooms feature daily maid service, complimentary amenities, colour television, tea/coffee making facilities, private en-suite bathroom with shower, individually climate controlled air conditioning, radio, alarm clock, hair dryer, mini bar and direct dial telephone. Most rooms further feature Juliette balconies with distant city, bay or district views or courtyards. For the convenience of guests, both non smoking and smoking rooms are available. At the Gemini Hotel, you will receive a warm and friendly style of hospitality, where service and your comfort is paramount. The Gemini Hotel offers courtesy pick-up and drop-off at Sydney Airport or Central station to ensure a hassle free start to your stay. Transfers are subject to availability and do not operate on Public Holidays. Please contact the number on your Booking Confirmation for arrangements. Further hotel faciolities include FREE Undercover Parking for up to 5 days (after which a small fee will apply), 3 conference and function rooms, tours and local information desk, guest laundry & ironing facilitie, lift access to all levels, breakfast restaurant, breakfast room service, tour desk, Wireless Internet access, fax and copying service, laundry service, safety deposit box, TV Loungeas well as gymnasium, fitness classes and solarium next door. The staff at The Gemini Hotel look forward welcoming you and making your stay in Sydney a memorable one. Centrally located in North Sydney, close to the central business district and with easy access to Sydney CBD, North Shore Hotel provides warm and friendly country style guesthouse accommodation for your stay in Sydney. Located opposite St Leonards Park and North Sydney Oval, stay in accommodation that makes you feel so welcome. There is so much to see in Sydney, so stay that bit longer and pay that bit less! In the heart of Sydney's growing west stands Rydges Parramatta, offering luxury 4.5 star hotel accomodation. With its warm contemporary style and spacious facilities overlooking the impressive Rosehill Gardens Racecourse, the hotel is ideally located with easy access to Homebush Bay Olympic Stadium, Sydney Showground and Exhibition Complex, Eastern Creek and only minutes from the Parramatta CBD. Rydges Parramatta, located in the heart of Western Sydney?s thriving business region, offers modern and spacious hotel accomodation, which feature in-house movies, Foxtel, Sky Channel and mini bar. Affordable, high speed, secure broadband Internet access is available in all rooms, billed by the minute to a capped rate for 24 hour access. High speed wireless access is also available. The Rydges Parramatta Sydney further features a stylish open plan lobby, thirteen conference rooms, two restaurants and three bars including the indoor and outdoor Winning Post sports bar including TAB and big screen TV's. Dine on top quality beef and the freshest seafood dishes among sophisticated surrounds at the Steeds Club Grill and Bar. Classy racetrack themed bars provide an intimate and friendly setting to enjoy a drink or light snack with friends. Relax and renew at the hotel's health facilities including a luxurious indoor heated pool, a spa, a sauna and a unique Turkish steam bath designed to promote wellbeing and deep relaxation. Workout in the well equipped gymnasium. With complimentary car parking, modern spacious and relaxed atmosphere, along with its multiple food and beverage outlets, the Rydges Parramatta is the perfect choice for business or leisure travellers. Swissotel Sydney is a deluxe five star hotel located in the heart of the Sydney city. All of Sydney's famous landmarks and cultural sites are within walking distance of the hotel, including The Sydney Harbour Bridge, the historic Rocks precinct, Sydney Opera House and the beautiful Botanic Gardens. The 359 hotel rooms and suites reflect a contemporary and sophisticated accommodation style with large corridors enhancing the hotel's luxurious surroundings. All luxury guest accommodation features breathtaking skyline views of Sydney, climate controlled air conditioning and heating, private ensuite marble-accented bathroom with with seperate shower, bath, telephone, complimentary toiletries, Yukata (Japanese bathrobes) and slippers, Broadband internet access, a functional work desk, colour LCD/plasma screen TV, FREE satellite / cable TV, pay-per-view movies, daily newspaper, a fully equipped mini bar, alarm clock, hairdryer, radio, tea/coffee making facilities, refrigerator, hypo-allergenic bedding, voice mail, wake-up calls, daily newspaper, in room safe, iron/ironing board, electronic/magnetic keys, trouser press, turndown service and daily housekeeping. Non-smoking or smoking rooms are available on request. At Swiss?tel Sydney, the aim is not only to meet your expectations but to exceed them. No request is too large, no detail is too small. Facilities include 24-hour front desk, concierge services, business centre services, valet parking, 24-hour room service, wireless internet access, FREE access to fitness studio, child minding services, a 15-metre heated outdoor rooftop pool, jacuzzi/spa, sauna, steam rooms, spa and massage treatments at the day spa - Amrita Spa, conference/meeting facilities, dry cleaning service, laundry service, currency exchange, elevator/lift, luggage storage, porter/bell service, computer rental, coffee in lobby, express check- in, express check-out, car parking, security, shopping on site, guest laundry, complimentary newspapers in lobby, wheelchair accessibility, the Crossroads Bar/Lounge, Jpb Restaurant, conference/meetimg, ballroom & banquet facilities. Centrally positioned among Sydney's prime tourist, shopping and entertainment districts, Swiss?tel Sydney presents truly luxurious and comfortable accommodation for the discerning business, corporate or leisure guest alike. What better way to discover this enchanting Aussie metropolis and its world famous sights, such as the Opera House. Rydges North Sydney offers 4 star luxury hotel and suite accomodation, perfectly situated for the discerning leisure and business traveller, within close walking distance to the North Sydney bustling business district and only a short journey over the iconic Harbour Bridge into Sydney?s CBD. Rydges North Sydney Hotel boasts stunning harbour views and the tranquillity of a lush garden setting in the heart of North Sydney's business district. With its smart appeal, distinctive warmth and sense of style, this fine hotel is big enough to buzz and small enough to care. As part of the hotels commitment to a continuing revitalisation program, the 50Four restaurant has just re-opened after a short closure to complete a full refurbishment. Another improvement to this North Sydney hotel is the inclusion of The Rydges ?Dream Bed?. New luxury Egyptian cotton linen and sumptuous plump ?Dream Pillows? accompany the ?Dream Beds? to ensure a perfect nights sleep. Accomodation ranges from the Standard Twin, Parkview and Harbourview Rooms to the exclusive one and two bedroom Hotel Suites. All accomodation at this North Sydney Hotel includes include air conditioning, a mini bar, AM/FM alarm clock, coffee maker in the rooms and suites, hairdryer, modem line, non-smoking rooms/facilities, room service, safe deposit box, colour TV, cable TV, direct dial telephone, iron and ironing board, tea/coffee making facilities and views over the cricket pavilion of North Sydney Oval, or south across the corporate precinct and the Harbour; all also have high-speed Internet access (extra fee applies). The friendly professional services include 24 hour reception, room service and a dedicated Business Centre to accommodate every need. Ashfield Manor Bed and Breakfast - Great value for money Sydney 3.5 star accommodation. Ashfield Manor offers you affordable accommodation with everything you need when you are on your travels, visiting family and friends, relocating to Sydney or just needing a comfortable, secure and clean place to stay. Ashfield Manor has a reputation as a clean and friendly place to stay. Overseas and local guests visit all year around. Located in Sydney?s inner west suburb of Ashfield, the accommodation is one of the best value in Sydney!! Ashfield Manor is centrally located within 5 minutes of local shops, clubs and restaurants. Public transport is literally at the door. With the train station a short walk away and the bus stop at the front door, the City Centre, Sydney Harbour, the Olympic Stadium, Acer Arena and Olympic Village all very accessible. The hotel accommodation features single, double, twin and family rooms, all fully serviced with ensuites and all facilities, including great beds, TVs and fridges. Enjoy the leafy courtyard & BBQ area or relax in one of the lounge areas. A self service complimentary light breakfast, with a great assortment of breads and cereals, is provided daily from 7.30am to 9.00am Mon to Sat and 8.00am to 9.30am on Sundays. Tea and coffee making facilities are provided at all times. Ashfield Manor also provides a fully equipped and large kitchen if you wish to prepare your own dinners (open1.00pm to 9.00pm). There are many restaurants and clubs in the immediate area - Wests Leagues Club being a 3 minute walk away. Next to the kitchen are the main lounge and dining areas. Here you can make yourself tea or coffee, read the daily papers, or just sit and relax. Choose a book or magazine to read from our library. Browse the internet or check emails on our internet kiosk. Relax in in the leafy courtyard or in any one of our three comfortable lounge areas which include CD player, refrigerator, board games, books & magazines, computer/internet, heating, tea & coffee making, telephone & television. Other facilities available at Ashfield Manor include a courtyard and BBQ area, coin operated guest laundry and ironing facilities, disabled access and complimentary newspapers delivered daily. . The Novotel Sydney Parramatta is a 4.5 star hotel, offering the most stylish and elegant accommodation in Western Sydney, ideal for the discerning corporate and leisure traveller. Located in the hub of cosmopolitan retail and dining zone on Church Street, in the heart of the Parramatta CBD, near the Parramatta River and opposite the Riverside Theatre, The Novotel Hotel Parramatta boasts shopping, dining and entertainment on the doorstep, yet is only a 10 minutes stroll to Parramatta Train Station and Parramatta Stadium and a 10-minute drive to the biggest entertainment and sports complex in Western Sydney - Sydney Olympic Park.The Sydney CBD is only 30 minutes away by car or train and 40 minutes by Rivercat. The Novotel Hotel Parramatta caters for the corporate and leisure traveller with full hotel service and remarkable comfort, offering 194 luxurious guest accommodation rooms with a choice of luxury Queen, Twin, King rooms, Executive Rooms and Luxury Spa Suites. All guest accommodation rooms have been refreshed and feature new beds , new furnishings and fittings, new lighting, LCD televisions, FREE cable TV, in house movies, a spacious work desk, opening windows, self-controlled air-conditioning, coffee and tea making facilities, broadband internet access, luxurious private ensuite bathrooms and much more. A home away from home. Relax and unwind with the excellent hotel facilities which include 24 hour front desk, arrival / departure lounge, the Two Forks Restaurant, bar / lounge, concierge, conference/meeting facilities, dry cleaning service, laundry service, gym/fitness room, lift/elevator. luggage storage, non-smoking floors, on-site secure undercover parking, outdoor pool - unheated, porter/bell service, room service - 24hr, sauna, spa/hot tub/jacuzzi and tour desk. For your convenience, please take advantage of the FREE free shuttle bus between the Parramatta train station and the The Novotel Sydney Parramatta. Whether you are celebrating a special day, catching up with friends, spending a day at the races, attending to business or seeing the sights the Sebel Parramatta is a convenient and contemporary hotel catering for the accommodation needs of corporate travellers, families, couples and holiday-makers. The Chifley at Penrith Panthers offers recently refurbished hotel accommodation nestled in the foothills of the Blue Mountains. Choose from an extensive range of modern hotel accommodation including the Deluxe, Family, Executive Rooms and Spa Suites. Based at the foot of the Blue Mountains, Chifley Penrith Panthers has it all. All guest accommodation features new carpet, lighting, curtains, 26-inch LCD flat screens TV, digital movie system, wireless broadband internet access, private ensuite bathroom with shower, bath, FREE cable TV, coffee/tea making facilities, direct dial telephone, desk, hair dryer, iron/ironing board, minibar, refrigerator, in room safe and air-conditioning/heating. Interconnecting rooms are also available. The newly appointed rooms have stylish decor and state of the art facilities so you can be rest assured that your stay will be both comfortable and relaxing. The new look Chifley Penrith Panthers has something for everyone, including a fully equipped gymnasium, outdoor pool corporate lounge, FREE car parking, dry cleaning service, laundry service, express check in/out, fax/photocopy services restaurant charge back and delivery to your door. Centrally located in the heart of Penrith with close access to Panthers World of Entertainment, guests may enjoy a variety of cuisine and entertainment including restaurants ( each of which will charge back to your room and deliver to your door), Kaos - video game action, sports bars , TAB, Barbeque courtyard, Evan's Theatre, Aqua Golf, Mini putt-putt, gaming and huge conference and banqueting facilities. Penrith City is the gateway to the West, a historical and vibrant city in its own right and one of the fastest growth regions in New South Wales. Explore the beautiful Blue Mountains, just 55 minutes west of Sydney. Chifley Penrith Panthers is the place to relax and be entertained. Come and discover the new Chifley Penrith Panthers, suited to business and leisure travelers. Families are most welcome. The Hills Lodge Grand Mercure is a stylish, boutique 4.5 star luxury hotel, with a reputation built around quality and friendly service and excellent accomodation, located in the heart of the Hills District of Sydney. Within easy reach of all parts of Sydney via the M2 and Sydney Orbital M7, The Hills Lodge is conveniently located on the door step of the Norwest Business Park and Hills Industrial Estate. The Hills Lodge offers the finest accommodation, Nobles Restaurant & Bar, extensive function and conference facilities and Tonic Day Spa. As you would expect from a stylish boutique hotel with 97 rooms, we have a room to suit your every need. We offer a variety of well appointed and tastefully decorated rooms of various sizes and configurations. From our deluxe rooms to our premium rooms and suites, the choice is yours. All rooms and suites feature 5 star beds, lounge, desk with broadband connection, STD & IDD direct dial telephones, TV inc. complimentary in house movies & Foxtel, full mini bar & tea/coffee making facilities. The Newport Mirage is a multi-award winning 4-star waterfront accommodation hotel and function centre which includes conference facilities, stunning wedding reception and outdoor ceremony. Nestled amongst lush greenery, hugging the shores of Pittwater, you will find the Newport Mirage to be one of the most well-appointed Sydney accommodation hotels. Newport Mirage's ideal location offers you a multitude of leisure activities including access to beaches, surfing, bushwalking, tennis, golf, catered cruises, deep sea fishing and sailing. Enjoy an afternoon at Sydney's iconic Newport Arms Hotel, Australia's largest waterfront beergarden - the Newport Mirage is just a stones throw away. Enjoy an exquisite contemporary dining experience at The Terrace on Pittwater Restaurant, Sydney, just one minute walk away. Alternatively, relax at the Newport Mirage - bathe yourself in sunlight by the pool and watch the world float by or unwind in the outdoor spa. Other amenities include a fully equipped hi-tech gymnasium, sauna, steam room, off street and undercover parking, cocktail bar, BBQ area, facilities for disabled, billiard room, convention facilities, wireless internet access, lift, 24-hour reception, private jetty and safe deposit. All accommodation rooms at the Newport Mirage are spacious, air conditioned and non smoking featuring private ensuite bathrooms, desks, radios, fully stocked mini bars, tea & coffee making facilities, complimentary tea & coffee, colour TVs , Foxtel, wireless internet, IDD telephones, alarm clocks, Fax/modem lines, hair dryers, irons & ironing boards. If you are looking for a great spot to escape in Sydney's north, you cannot go past The Newport Mirage. Come and indulge your senses, explore this picturesque area staying in complete comfort at Newport Mirage Hotel. The Sebel Pier One Sydney offers magnificent views of the Sydney Harbour Bridge and Walsh Bay combined with style and sophistication to create a superb, relaxed environment. Unique features of the hotel include its very own 'pier-side' pontoon, a 12 square metre glass floor in the lobby and superb meeting facilities with harbour views. A Sydney experience not to be missed! All of the hotel guestrooms and suites at The Sebel Pier One Sydney are stylishly appointed and offer full hotel services and facilities to ensure your stay is both comfortable and memorable, and combine contemporary interior features and restored heritage architecture. Located at historic Dawes Point, adjacent to the Sydney Harbour Bridge and the historic Rocks entertainment district, The Sebel Pier One overlooks Walsh Bay with charming views of the harbour, and Sydney's Harbour Bridge. Front Restaurant & Bar provides alfresco dining at its best. Located adjacent to the Harbour Bridge with majestic views over Walsh Bay and Sydney Harbour, enjoy modern cuisine, as well as an extensive Australian wine list, at Sydney's first over-water hotel. Major shopping, transportation, restaurant and tourist areas are all within easy walking distance. Enjoy our accommodation, facilities and hospitality, whether travelling to Sydney for business or leisure. Billabong Gardens is a custom built motel and guesthouse accommodation conveniently located in in inner-city Newtown and offers inexpensive, clean and comfortable accommodation with great facilites in central Sydney. All guests have use of the large common lounge area with free internet terminals, two large fully equipped kitchens and a coin operated laundromat. The rooms are centred around a lush tropical courtyard with a swimming pool and BBQ area. The Sebel Manly Beach, located at the secluded southern end of beautiful Manly Beach, is the ultimate beachfront destination. Offering stylish and fully refurbished accommodation, the Sebel Manly Beach, is an intimate 4.5 star boutique hotel, specialising in the renowned "Sebel" service. Famous as a haven for visitors and locals alike, with its signature Norfolk Pine tree lined beach and relaxed atmosphere, Manly has become the ideal location for both leisure and business tourists. With cosmopolitan cafes, galleries, boutiques, surf shops and the sparkling waters of Manly beach only a short stroll away, The Sebel Manly Beach is the gateway to Manly's unique beach culture and an easy distance from Sydney CBD. Beautiful beaches, spectacular harbour... The newly refurbished Sebel Manly Beach, is an intimate boutique hotel, located at the secluded southern end of beautiful Manly Beach, regarded as the ultimate beachfront destination. Comfort Inn North Shore provides accommodation units that are extremely clean and comfortable and feature queen bedding, mini bar, reverse cycle air-conditioners, digital television, internet connection & FOXTEL. This Sydney accommodation is located on the North Shore in Lane Cove ideally located for the corporate centres of Lane Cove West, North Ryde, Chatswood & North Sydney and is convenient to Sydney attractions including Taronga Zoo, Sydney Harbour, Luna Park and Manly Beach. Free car parking is available to guests. Great discounts for extended stays on Not 1 Night! The Manly Oceanside Accommodation are ideally situated close to Sydney's Manly Beach and only 10kms north east of the Sydney CBD, which is easily accessible by car, bus, jet cat or a 15 minute ferry ride to Circular Quay. Manly is one of Sydney's prime holiday tourist destinations with it's wide variety of activities including Ocean World at Manly Cove beach, amusements, fine shopping, dining in over 80 restaurants with beach front or Harbour side locations, scenic walks along the 18 northern ocean beaches, crystal clear water and golden sands. The Manly Oceanside Accommodation is also the perfect Sydney accommodation for the Jazz Festival and the Food and Wine Festival which are both held in and around Manly. The Ascot Motor Inn Wahroonga, Sydney provides a modern, comfortable standard of accommodation at an affordable price in the North Western Sydney suburbs. The hotel facilities at the Ascot Motor Inn include wireless broadband accessible from the newly renovated motel rooms, and award winning restaurant, function & conference room, breakfast room service to your room and a swimming pool for use by the guests. Relaxing hotel / motel accommodation on the edge of Sydney at affordable discount rates is what the Ascot Motor Inn is known for. Renowned for being Sydney's best value international standard & national heritage listed boutique hotel the Capitol Square Hotel is superbly located in Sydney's entertainment and cultural heart. Offering well-appointed accommodation rooms at very reasonable discount rates the Capitol Square Hotel Sydney also provides high speed Internet in all hotel rooms. Being one of the more central of Sydney hotels & only 5 minutes from Central Railway station with Sydney's Light Rail, Monorail and Sydney Buses at your doorstep allows the business traveller and the holiday maker easy accessibility to most of Sydney's popular city attractions, including Star City Casino's Lyric Theatre and the Fish Markets. Take a short walk to find yourself amidst Sydney's major shopping outlets, Darling Harbour & Cockle Bay, Spanish Quarter, Chinatown, Paddy's Markets, theatres, cinema district and the Entertainment Centre. Also conveniently close to fashionable shops and a vast variety of restaurants in Surry Hills and Paddington's Oxford Street. Manly Guest House (also known as the Guest House Manly), offers the best value in budget accommodation in Manly, Sydney's most popular beachside suburb. A 3 star lovely backpackers hostel with old world charm, The Manly Guest House offers a homey atmosphere with private accommodation and shared facilities (kitchen and bathrooms), located less than a 10 minute walk away from the hurly-burly of the Manly Pubs and city ferry wharf, yet one street from the fabulous Manly Beach and all of its charms. So, for the best value budget accommodation in Manly, stay at the Manly Guest House which provides Single, Double, Twin, Trio and Family rooms. . Situated on the highest point of Miranda, the family orientated Metro Hotel Hotel Miranda boasts spectacular views over Sydney City and Botany Bay. Providing a lovely "home away from home" atmosphere for all guests the Metro Hotel Miranda has 40 well-furnished 3? star guest accommodation rooms. This Sydney hotel is extremely popular among families during holiday periods due to its close proximity to Cronulla Beach. For guests wanting to also take in the sights and attractions of Sydney city, they are only a leisurely 40 minute train ride away. Renowned for its warm and friendly service the Metro Inn Miranda is also adjacent to Miranda's Westfield shopping centre with it's wide selection of variety stores and entertainment venues. Heralding a new realm of luxury, the Diamant Hotel Sydney is positioned to embody the spirit of Sydney with a blend of sophisticated elegance and modern beauty. A luxury hotel dedicated to the needs of the leisure and corporate traveller alike the Diamant Hotel's quality accommodation is matched only by spectacular views and world-class amenities. With an unrivalled location and our radiant fusion of professional and personalised service the Diamant Hotel Sydney is the perfect place to stay. The new, stylish and contemporary Rydges Campbelltown Sydney provides the only hotel accommodation in Campbelltown. 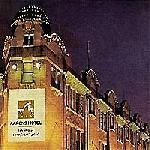 This luxury hotel, which is a non smoking property, was opened on the 1st August 2007. Ideally located in the CBD precinct of Campbelltown, with luxury yet affordable hotel accomodation specifically designed for the purpose of providing business and the local community with accommodation, restaurants, bars and conference facilities, the Rydges Campbelltown Sydney is a jewel in the crown of Campbelltown. The Rydges Campbelltown Sydney features 116 rooms comprising standard, executive and executive spa rooms. All rooms have new and modern furniture and fittings, contemporary d?cor and modern appliances. Further features include mini bar, wall mounted large screen LCD TV, high speed internet access, individually controlled air conditioning, movies on demand and direct dial STD/ISD telephones Hotel features include a new and contemporary look restaurant and bar. The restaurant is open daily for breakfast, lunch and dinner and offers seating both inside and outside in the podium gardens, serving modern Australian cuisine with a focus on high quality grill items. The modern and contemporary bar is complete with working micro brewery and serves an all day dining menu with emphasis on tapas style bar food. Furthermore, guests have full access to the facilities of the award winning Campbelltown Catholic Club, the Aquafit Fitness, Leisure Centre and Oceana Day Spa, all located in the fitness centre. Perfectly situated in the heart of Campbelltown's arts and entertainment precinct, the activities are endless with regular events and showcases on art, music, film, food and sports. Rydges Campbelltown is your ideal accommodation choice. The Metro Inn Edgecliff is only 5 minutes from the centre of Sydney, situated in one of the city's most attractive tree-lined suburbs, overlooking beautiful Sydney Harbour. From here it's just a stroll to the nightlife of Kings Cross or exclusive Double Bay shopping. It is also an easy public transport ride or a short drive to Bondi Beach, the majestic Sydney Opera House, or the fun of Darling Harbour and the Casino. With the recent completion of full refurbishments, the Metro Inn Edgecliff offers 34 comfortable and affordable 3 star hotel guest rooms, many with wonderful Sydney Harbour views. This delightful affordable hotel offers guests a mix of afforable style accommodation with warm and friendly Australian hospitality. The Metro Inn Edgecliff features comfortable, well-furnished rooms with a private ensuite bathroom including a bath, air conditioning and heating, radio, alarm clock, direct-dial phone with internet data port, colour television, FREE in house movies, in room safe, iron/ironing board, hairdryer, refrigerator and tea and coffee making facilities. Please note parking is available but not guaranteed. The Metro Inn Edgecliff is situated in one of the city's most attractive tree-lined suburbs.The Metro Inn Edgecliff - the ideal place of stay for the budget conscious leisure traveler in Sydney. Rydges Cronulla Beach Sydney Hotel - NEW LOOK? NEW EXPERIENCE! FRESH LOOK! Rydges Cronulla Beach, with it's perfect seaside location, panoramic views of Cronulla Beach and picturesque Gunnamatta Bay, now offers visitors to the shire the ideal accommodation solution, with the recent $2 million refurbishment to accommodation rooms, restaurant and other public areas. In addition to the Rydges ?Dream Beds?, other upgrades to this luxury 4 star hotel include modern glass-faced minibar fridges, general amenities along with the installation of 8 Foxtel channels on the brand new 32 inch LCD flat screen televisions. The Rydges Cronulla Beach now boasts the latest in-room technology featuring the ?MediaHub?, Broadband and Wireless Internet. The internal painting of the accommodation rooms has also commenced - to go with the freshly painted hotel exterior. As part of the hotel's commitment to a continuing revitalisation program, Raffles Restaurant, which overlooks the spectacular Cronulla Beach, has just reopened after refurbishment. Among the improvements is a modernised buffet and ?RISE?, the brand new breakfast dining concept offering a fresh and organic approach, quality espresso coffee, fresh fruit juices and free range eggs as well as a tailor made "smoothie station". The lively restaurant specialises in modern, innovative fresh cuisine and is ideal for both business travellers and leisure guests. The superb menu is complimented by a wine list showcasing a range of excellent Australian wineries. And of course, the friendly staff will always ensure your dining experience is a relaxed and enjoyable one. All this to make our guests feeling as though they?re in a brand new venue. Rydges Bankstown offers 4 star superior hotel accommodation in Bankstowncentrally located within Sydney's South-Western commercial district, just 15 minutes from Sydney Olympic Park, Homebush, close to the business centres of Bankstown, Liverpool, Milperra, Regents Park, Chullora, Revesby and Parramatta and to the wealth of sporting facilities in the area. Rydges Bankstown features a stylish open plan lobby, restaurant and bar area with views of the outdoor pool and terrace area and provides 120 designer look spacious guest rooms offering guests an exceptional standard of accommodation. The superior hotel rooms are smoke free and feature 'Rydges Dream' beds, individually controlled air conditioning and heating, a reading area, workstation with high-speed internet, mini bar, tea & coffee making facilities, toaster, microwave available (Upon request - please specify when booking), high speed internet data port, digital on demand movies, Foxtel, direct dial IDD/STD phone, iron & ironing board, hair dryer and a spacious ensuite finished in modern tile to signify quality whilst adding that extra touch of style. Rydges Bankstown Hotel Sydney is warm, contemporary and refreshing. Its central location close to the business centres of Liverpool, Bankstown and Parramatta, and to the wealth of sporting facilities in the area, make it the ideal hotel for the business, sporting and leisure traveller alike. .
Quality Hotel CKS Sydney Airport provides accommodation within minutes of the Sydney International Airport. The Quality Hotel CKS Sydney Airport provides comfortable well equipped non smoking hotel accommodation and a relaxed atmosphere ideal for transit travelers. Sydney's attractions are a short bus or taxi ride away and you can unwind at the Kagara Golf Club, which is within walking distance. The recently completed renovations make for an improved, very cosy and relaxing atmosphere. The Quality Hotel CKS Sydney Airport has a range of hotel accommodation rooms to cater for a diverse market, from the Standard three star rooms to the Superior three and a half star rooms and the modern and contemporary four star Queen rooms. All guest rooms are non smoking and feature air conditioning, private ensuite bathroom, telephone, coffee/tea making facilities, hair dryer, radio, alarm clock, colour TV, satellite/cable TV and high speed broadband internet. There is excellent wheelchair access throughout the hotel and a 24 hour reception to assist guest needs and late arrivals. The Quality Hotel CKS Sydney Airport offers return airport transfers at a nominal fee. Sit back and enjoy a drink at the bar or simply surf the net at our internet kiosk. Further recreation facilities include tennis courts and the golf course. The newly renovated bar and fully licensed restaurant are ideal for informal drinks and dining at an affordable price. Vibe Hotel Rushcutters is in the unbeatable location of Sydney's east. The Vibe Rushcutters Hotel offers contemporary accommodation in Rushcutters Bay with every aspect of the hotel creating a great place to stay, the guest rooms are stylish and comfortable, the food fresh and modern, vibe people are friendly and upbeat and the hotel is great value for money. Both business and holiday travellers will love the convenience of staying in the dynamic harbourside location of Rushcutters Bay. The Vibe Hotel Rushcutters Bay is close to the famous shopping and dining precincts of Double Bay, Paddington, Woollahra and Bondi Beach. For those guests looking to embrace the city nightlife, the funky bars and restaurants of Darlinghurst and Kings Cross are only a short 5 minutes walk away from the hotel.